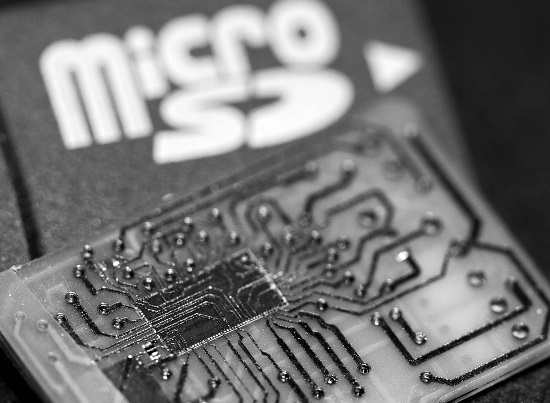 SD and microSD controller solutions are the most widely used form factor and are used extensively in many different NAND flash storage applications such as consumer electronics, mobile devices, and digital cameras. Only recently did the SD form factor gain a strong footing in the automotive industry in navigation systems, and industrial IoT equipment. As the focus on secure solutions is increasing, recent designs connect a security chip or SmartIC within the microSD package in order to provide a smart microSD with added security, authentication and encryption features. Introduced in the late 1990s as an alternative to the MultiMediaCard, the SD interface specification has evolved over time, in order to address different requirements for better performance, features and capacity. On top of the different form factors, there are now many different generations of SD specification and speed- or capacity-related grades. Hyperstone’s SD and microSD controllers offer high reliability for NAND flash storage applications through an array of features and are ideal for industrial applications where secure and efficient data transfers are a must.